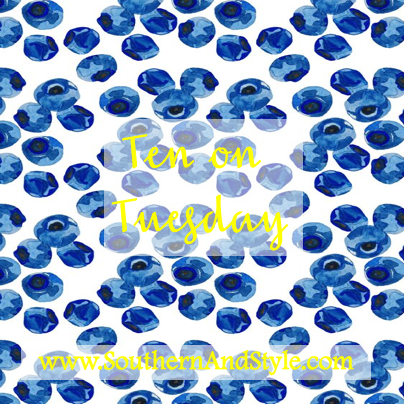 Hey y'all & welcome back to this week's Ten on Tuesday! I'm so excited that this is our last regular week of classes before we start our semester final exams and then...summer vacation inservice for teachers! Haha, in all seriousness I'm soaking up every last second of being at my school and being with my kiddos-I love it! Have you heard about the newest Starbucks collaboration with Ban.do? The cups are seriously the cutest and I'm so bummed they won't be sold stateside...especially since I missed out on the Lilly Pulitzer and Starbucks collaboration. 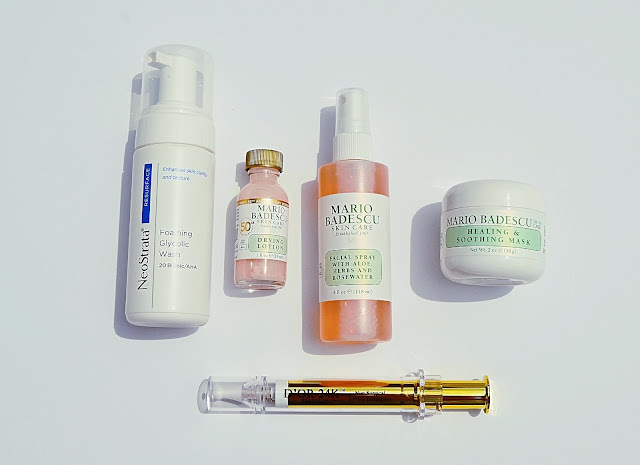 Last weekend's Saturday post talked all about some new skincare products I've been trying out over the past month or so. If I had to pick two stand out products they would be this one and this one-those have really changed my skin in the past month! Growing up I remember loving baking with my mom and aunt's and while most kids loved cookies or brownies I have always been a huge fan of the blondie. This recipe is an updated version of a classic with white chocolate chips and browned butter-it looks like a crowd pleaser (who am I kidding, it looks like a me-pleaser!) for sure! If you're a fan of those huge pool floats (think blow up unicorns or slices of pizza) you need to see Kate's round-up of her picks for the pool this year! I've been doing a little online shopping browsing in preparation for our New Orleans trip and have fallen in love with this breezy dress and this pretty off-the shoulder option. If you're going to be a wedding guest this summer, give this article a read. I hope you didn't forget to wish you Mama a Happy Mother's Day this past Sunday! This article was shared by Southern Living and had me laughing at the accuracy of Mother's Day in the South. The Kate Spade surprise sale is back! Some of my favorites from the sale are this for your summer vacays, this to store your face makeup in, and these to wear on a fun date night! If you love "This is Us" as much as the rest of the world, check out the season 2 promo. It's sure to draw tears...just like every single episode of the show last season. While y'all are most likely kicked back reading this from the comfort of your sofa, maybe sipping that after work glass of wine, I'll be out in the hayfield with my sweet husband. Making hay while the sun shines sure is a lot of work! I hope y'all enjoyed this week's Ten on Tuesday-can't wait to see you back on Saturday with a fun post!